• Education incentives for higher education: In addition to your base salary, you can earn annual compensation of $500 for an Associate’s Degree, $1,000 for Bachelor’s degree, $3,000 for Master’s degree (cumulative), $4,000 for Juris doctorate (cumulative). 6. High school diploma or G.E.D. o Three (3) years or more of verifiable honorable active duty service in the United States Armed Forces. 5. High school diploma or G.E.D. 3. Three (3) years or more of verifiable honorable active duty service in the United States Armed Forces with an awarded Military Police, Combat Arms (Infantry, Armor, Artillery) or Special Forces military occupational specialty. 1. Contact the City of Hoover's Human Resource Department at (205) 444-7549 or visit our current job openings web page to determine if the police officer position is currently posted. 2. The application asks questions about your previous employment, education, POST certification, age and specialized training relevant to the position of police officer. If you meet the qualification requirements, you will receive information from Human Resources notifying you of the next steps in the application process (AT THE TIME OF EXAMINATION, ALL APPLICANTS MUST PRESENT A VALID STATE-ISSUED DRIVER'S LICENSE. OUT OF STATE APPLICANTS MUST OBTAIN A VALID ALABAMA DRIVER'S LICENSE PRIOR TO EMPLOYMENT WITH THE CITY OF HOOVER). 3. Questions on the written test (for Non-POST applicants) are designed to test basic skills such as observational ability, ability to exercise judgment and common sense, interest in police work, map reading, dealing with people, ability to read and comprehend text material, and reasoning ability. This examination will be used to establish a list of applicants who will be eligible for further consideration for employment with the Hoover Police Department. 4. Those applicants who successfully pass the written exam will be further screened through a physical agility test, and an evaluation of related experience and certifications. 5. Final screening will include a series of interviews, a personality assessment, and a medical evaluation. This list of applicants will be valid for two (2) years from the date of examination, unless the needs of the City of Hoover dictate otherwise. 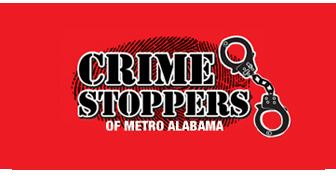 For more information, contact Detective David Holder at (205) 739-7176.